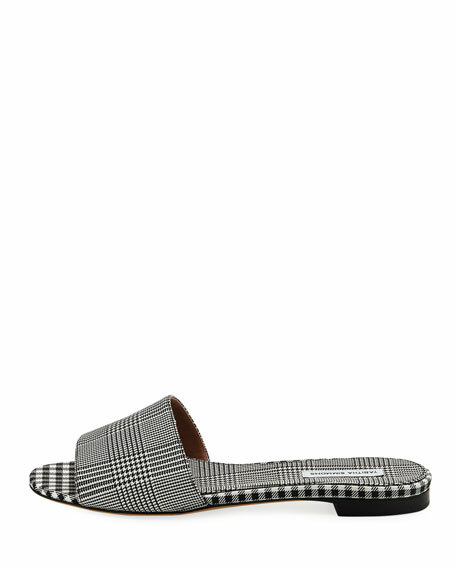 Tabitha Simmons "Sprinkles" sandal in gingham and houndstooth jacquard. 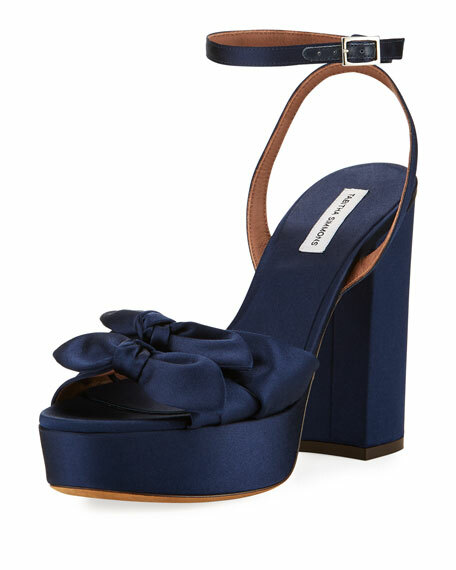 Tabitha Simmons satin sandal. 4.5" covered block heel. 1.3" platform; 3.2" equiv. 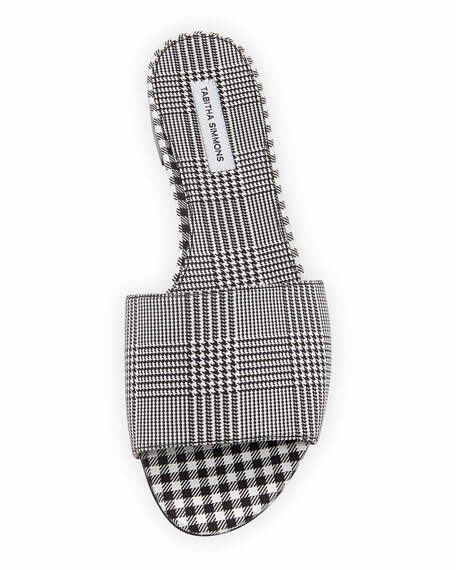 Double-knotted toe strap. Adjustable ankle-wrap strap. Smooth outsole. "Jodie" is made in Italy. Tabitha Simmons PVC sandal with metallic leather piping. 2.5" covered block heel. Strap bands open toe. Scallop trim at straps. Adjustable, crisscross ankle strap. Leather lining and sole.